I can’t stress enough about how the kitchen is not my favorite place to be but the holidays bring out the dessert lover in me! However, when I’m in the kitchen –EASY and quick is what I like! Here is an awesome fast Peanut butter fudge recipe, ONLY 2 ingredients and it tastes great! A classic fudge flavor I fix often, especially during the holidays, –peanut butter fudge! I found a quick & easy way to prepare it and it is just as good as the fudge shops in my opinion! Take lid off icing and place in microwave for one minute….put a cup of PB in a bowl and pour the melted icing over it…mix thoroughly. Pour in (no stick sprayed) dish 8×8 or a 9×9 — and let set for at least 30 mins in fridge. 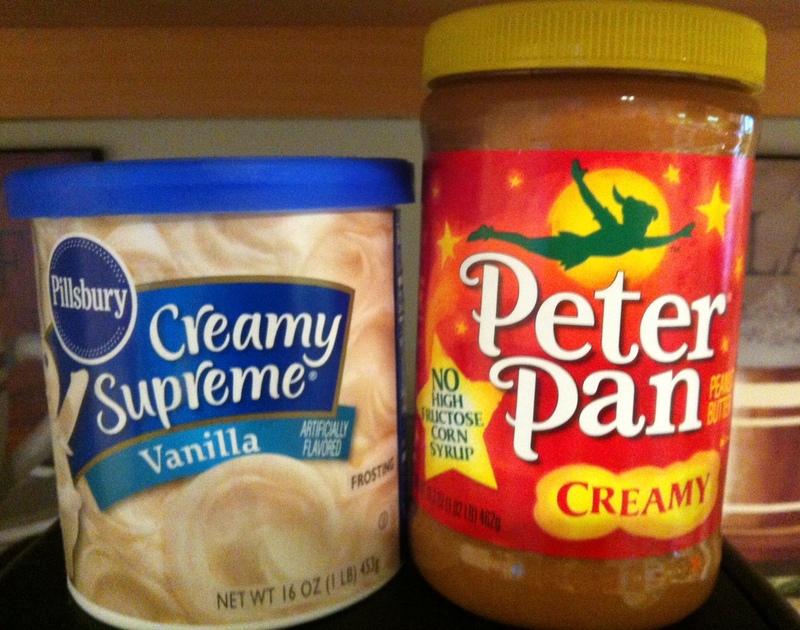 You can also substitute the PB for nutella and the vanilla icing with milk chocolate icing. Tried it all 3 ways and it is wonderful! And.. The chocolate and vanilla icing are both gluten free! Yay!! My kind fudge quick and easy! Sounds good have to find someone to share with as my husband does not like peanut butter.